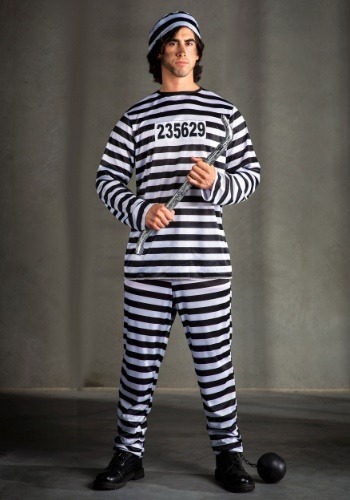 Dressing like a prisoner is a Halloween classic! But like all good costumes, this costume works best when you have an impressive backstory for your character. What crimes did you commit? This is important, as it decides whether people will fear you or laugh at you. 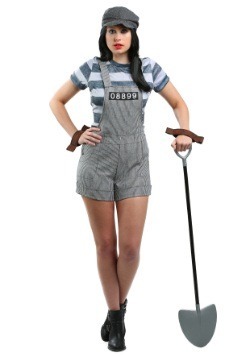 Don't worry, we can help you brainstorm the most impressive crimes for any Halloween jailbird. Maybe you were caught in the greatest Halloween candy heist ever attempted? Maybe you were arrested because your last year's costume was SO scary that you actually frightened people to death, making you a murderer. Maybe you were arrested for candy fraud, where you made onions look like caramel apples. Using any one of these crimes to explain your prison sentence will have anyone and everyone believing you are truly rotten to the core. 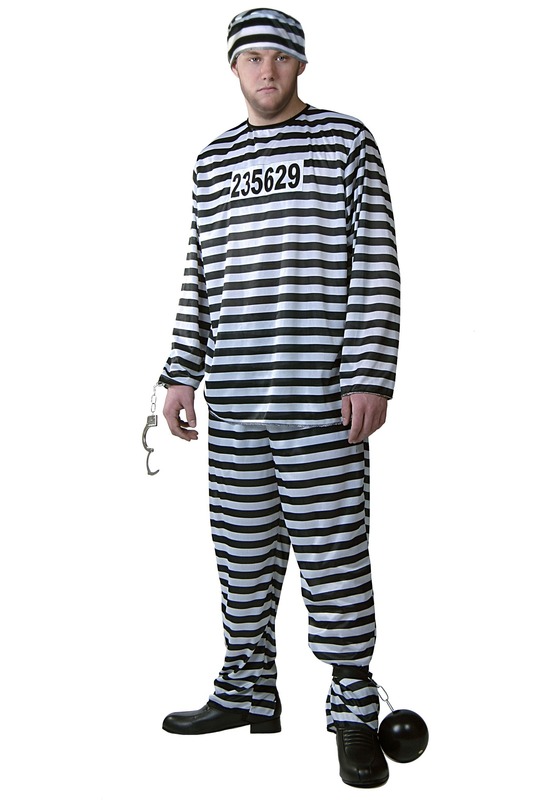 This Men's Plus Size Prisoner Costume comes in any prison uniform's classic colors: black and white! The pants have an elastic waistband, and the shirt fastens behind your neck with fabric ties. 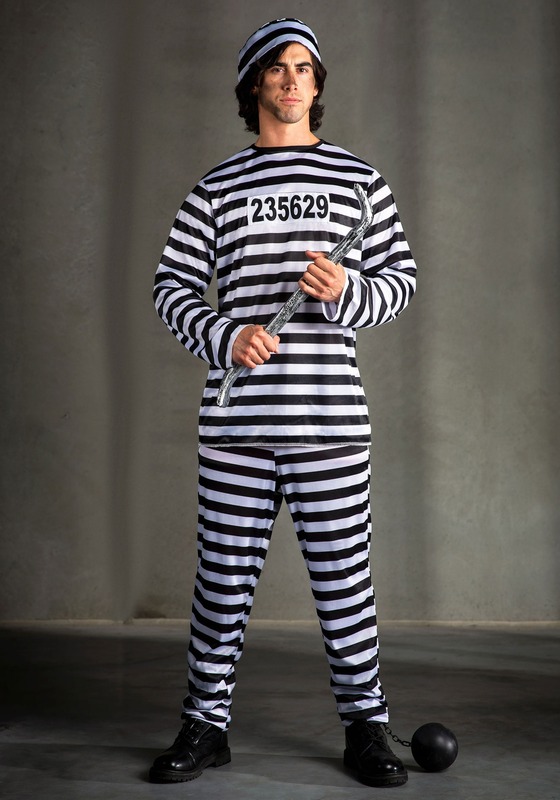 The number 235629 across the front of your shirt is your very own prisoner number! The final piece for this costume is the round fabric cap, which looks like something you might see in an old-timey prison movie! This costume can be incredibly convincing, so you need to be careful! Any cops that see you in this will be suspicious, even though it might be Halloween! 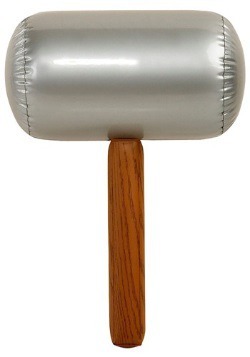 This costume is great on its own but we do have a couple recommendations if you want to take it to the next level. 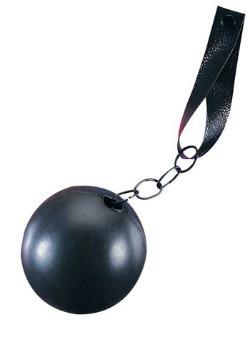 You could get a little ball and chain for your leg! You can see one in the picture for this costume, and it's a great way to dive even deeper into the character. Our final recommendation is to learn to play the harmonica! (Or pretend.) Lounging around in your prisoner's costume playing the harmonica is exactly what we'd expect from a jailbird like yourself. We hope these ideas help, enjoy your freedom!